The Office of Environmental Health provides information, consultation, distribution of educational materials for Radon Testing. Testing for radon in your home is easy and radon problems can be fixed. 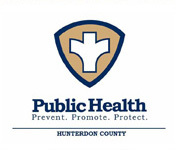 FREE RADON TEST KITS ARE CURRENTLY AVAILABLE TO NEW JERSEY RESIDENTS at the Hunterdon County Division of Public Health. We are located at the Route 12 county complex,building 1 and our hours are 8:30-4:30. Radon occurs naturally and could be inside your home. Testing is important because radon can cause serious health problems like lung cancer. Call 908-788-1351 or email: health@co.hunterdon.nj.us for more information.